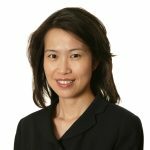 Associate Professor Flora Wong is a Consultant Neonatologist at Monash Newborn, with a joint appointment as Senior Research Fellow at the Department of Paediatrics, Monash University and The Ritchie Centre, Hudson Institute of Medical Research. 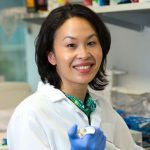 A/Prof Wong graduated from the University of Melbourne, receiving her PhD on ‘New bedside techniques utilising near infrared spectroscopy (NIRS) in preterm infants’ in 2009. She has been awarded the NHMRC Health Professional Research Fellowship to continue her part-time research commitment. Since 2010, A/Prof Wong has received >$2.7M of competitive research funding from NHMRC and philanthropic bodies. Her research interests are in newborn cerebral pathophysiology, cerebral blood flow and oxygenation in relation to brain injury in newborn infants undergoing intensive care. Her projects aim to investigate the mechanisms of newborn brain injury, development of cotside monitoring and neuroprotective strategies. She has expertise in the application of NIRS to examine the cerebral haemodynamics, and has pioneered research utilising a technique called Spatially Resolved Spectroscopy in Australia. 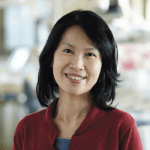 Her publications demonstrate a strategic set of studies that work towards the identification of circulatory factors which contribute to neonatal brain injury. Translational research is an important theme of her projects, involving complementary experimental studies in preclinical models and clinical studies in preterm infants to examine cerebral haemodynamics.